Matthew Gray Gubler (Reid) makes art in his spare time. 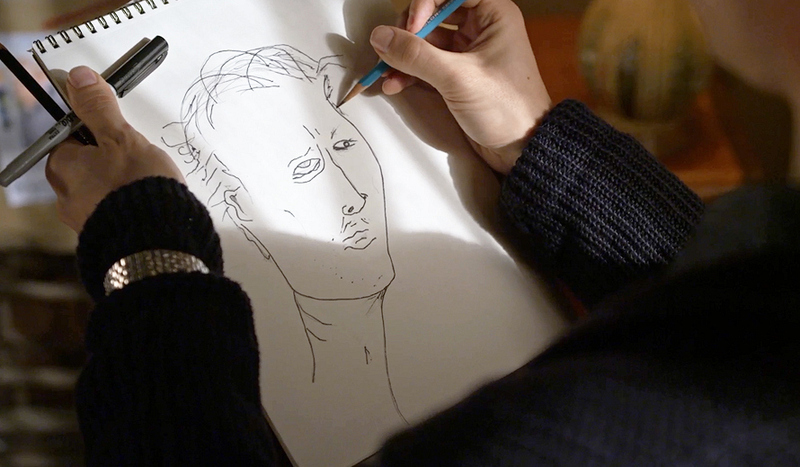 Gubler even created the sketches featured in the episode. These ink on paper marvels were based on "monsters described and imagined," and influenced by room layout and decor.